Baking with whole grains is still new to me, but I have become a true believer that whole grain baked goods are simply delicious! Pure white chocolate and cranberries are a natural pairing. The cranberries will need time to drink up the brandy, you can do this step ahead by letting them rest at room temperature overnight or use the microwave method below. You might want to get those cranberries ready now, you will want to make this delicious loaf of bread, to share with family and friends. Warm cranberries in the microwave until hot, pour brandy over, stir well, let cool. You want the cranberries to drink up the brandy, when they have, complete the rest of the recipe! In a large bowl, combine the flour, salt, and soda. Mix well. Set aside. Core the pear (do not peel, you won't notice the peel in your finished bread). In a food processor, combine the pear, dates, oil and eggs. When smooth (there will be small pieces of dates), pour over the flour mixture along with the water and vanilla. Mix until there are no dry pockets and no wet spots. Fold in the cranberries and white chocolate. Turn batter into a 9X5 inch loaf pan, sprinkle walnuts over the top, press lightly so they will stick after baking. Bake 40-45 minutes or until tests done in your oven. Let cool in the pan 15 minutes, turn out and cool completely. Wrap in parchment paper and let rest 24 hours before slicing. You may freeze for future enjoyment! Your Brandied Cranberry Bread will be just perfect for the holidays, it looks so good! Thanks so much for sharing with us at Full Plate Thursday. Have a great weekend and come back soon! Looks and sounds so good, a perfect holiday treat! Thanks for sharing at the homestead blog hop! Danielle, this bread turned out very well, and it is much like a holiday bread. thanks. Wow. This sounds awesome ... I may try this with an apple, since I have some to cook up. 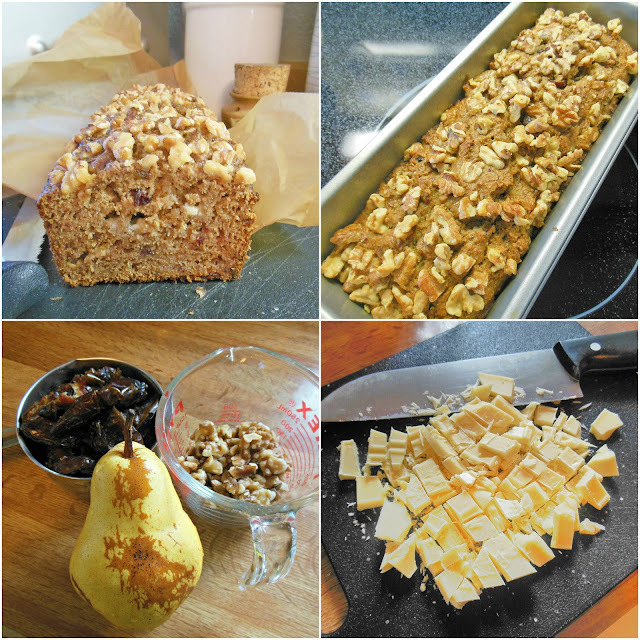 Beth, I have been developing recipes for naturally sweetened breads and this one is a step up with the white chocolate, which I love! Your right, apples would also be delicious, thanks for visiting! My husband's grandmother would always make mincemeat pie for the holidays and she would begin soaking the raisins in rum in October!! I will definitely add this to my list of holiday recipes to try in 2016. Thanks for visiting, I hope you enjoy the bread!